Everyone is capable of doing things that may not be ethical, but not everyone is willing to admit when they’ve crossed that line. Mr. Frankel pulled me into the plot through the use of one of the most exciting opening scenes I’ve read in a long time. Imagine two homeless men suddenly coming across something incredibly strange in the fetid, garbage-strewn alley they call home. It was most definitely not the introduction to this tale I was expecting. Not knowing what was happening made me eager to find out more. I would have liked to see more character development, especially when it came to Harry. He experienced a few different traumatic events growing up that never quite had as much of an affect on his personality as I would have expected. His dazed reaction was completely understandable in the beginning, but this book would have easily earned a higher rating had the author spent more time exploring what happens when Harry’s numbness wears off. It would have been especially interesting to see which, if any, of his negative personality traits stem from this emotional paralysis. Strong pacing from beginning to end made it hard for me to put this story down. I really liked how the author embedded crucial clues about Anastasia’s background into scenes that also had a lot of other exciting stuff going on in them. At times it felt like I was watching an action movie instead of reading a book. This was a smart approach for such an action-heavy plot. 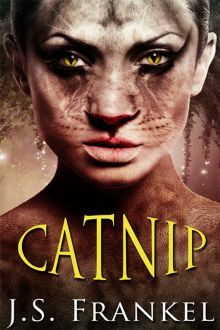 Catnip is one of the most adrenaline-inducing tales I’ve read so far in 2014. This is a good choice for anyone who likes being perched on the edge of their seat in anticipation of what might happen next for 200+ pages.